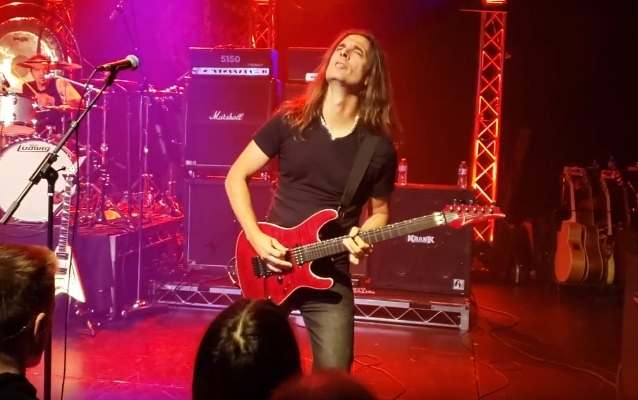 MEGADETH's Kiko Loureiro was among the musicians who gathered this past Sunday night (March 24) at the to honor one of rock's most legendary guitarists at the "Randy Rhoads Remembered: A Celebration For A Guitar Legend" concert at The Rose in Pasadena, California. Video footage of his appearance can be seen below. 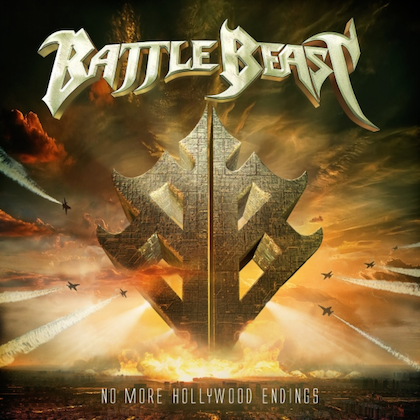 Founded in 2013 by former WHITESNAKE drummer Brian Tichy and his producing partner Joe Sutton, the event is aimed at recognizing the incredible contributions of the late OZZY OSBOURNE guitarist, whose life was tragically cut short at the young age of 25. 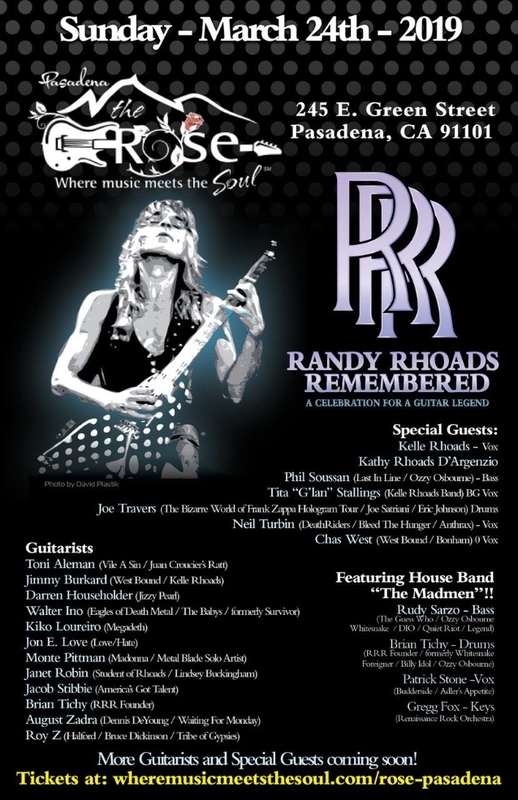 In a 2015 interview with IndiePower, Kiko stated about the influence Rhoads had on his technique when he was first starting to learn how to play guitar: "I was a very young teenager when I started listening to… discovered Ozzy and then I discovered Randy Rhoads, and I was really, like, every day trying to learn his solos and his riffs — something that [was] really strong and that makes me the guitarist that I am today. So he's really a part of that. The way that he mixed classical music… I don't know… All the new techniques that were going on at that time in guitars. I was just a kid trying to learn guitar and he was like a big hero for me." He added: "I love acoustic guitar — you know, classical guitar — and I know Randy was really into classical music and acoustic guitar. That brings you this peace inside you. And then you bring this to this rock moment. I don't know how to explain that, really. I think all the musicians could understand that. But, yeah, this mix of classical music, the scales, the peace that you have inside and you can express yourself through the guitar. So, mixing this rock and roll and the classical music; that was his approach that was really important for me."